Description: A seasonal Fall brew, this pumpkin ale is made using a combination of 2-Row, Munich, Aromatic, Caramel, & Wheat malts, then hopped with Magnum and Perle hops. The beer is then flavored with pumpkin and maple syrup, and spiced with a combination of ginger, cinnamon, nutmeg and allspice. Tasting Notes: This is my first time sampling a beer from Canuck Empire, another brewery from the lower mainland that I’ve been noticing around these parts. And for the most part, this beer was exactly what I would expect from a good pumpkin ale. Smooth, pale malt interacts with pumpkin flesh and a pumpkin pie palette to deliver “Fall in a glass”. However, this one was a bit different in that it incorporated ginger, which I initially mistook for clove spice. This added a bit of a bite and a slight bitterness to the mix, which worked well in the end. Still a good brew and a good intro! 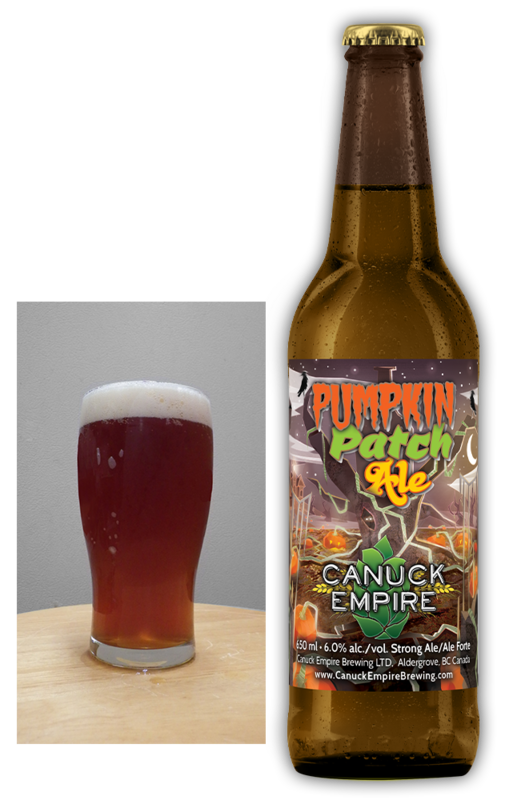 This entry was posted in BC Beer, Reviews and tagged 2-Row malt, aldergrove BC breweries, Aromatic malt, BC beer, BC lower mainland breweries, Canuck Empire brewery, Canuck Empire Pumpkin Patch Ale, Caramel malt, Magnum hops, munich malt, perle hops, pumpkin ale, wheat malt by storiesbywilliams. Bookmark the permalink.